Have you been experiencing electrical problems at your domestic or commercial property? STL Electrical has fully qualified electricians available to help you 24 hours a day. 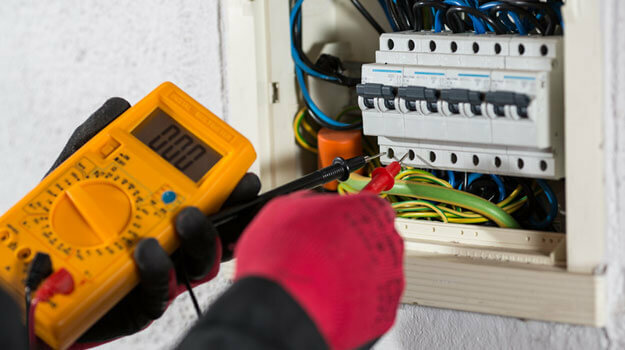 With over 8 years’ of experience, our team of commercial and domestic electricians can ensure your problems are solved quickly and affordably. To speak to one of our fully qualified electricians, contact us now. When looking for a domestic or commercial electrician, it can be hard to find someone that you trust. STL Electrical has years’ of experience serving customers all over Melbourne and our reputation for quality precedes us. We only use high-quality branded electrical goods and can help with lighting installations and much more. We make sure to keep you informed every step of the way so that you can follow the progress of our work. To learn more about the services our commercial and domestic electricians can help you with, visit the 24 Hour Service page. To speak to a member of our team, contact us now. We have used STL electrical for many years and have been very happy with the prompt and reliable service.